This post is a departure from the kind I usually write because I want all of you who read Trinity and Humanity to know about a new chapter in ministry that will be starting for me this summer. Sometime around July of this year I will be leaving my role as the pastor of the GCI congregations in Nashville and Murfreesboro, TN, and moving to North Carolina, where I grew up and my extended family lives. Once there my family and I will be joining the Episcopal Church and I will be pursuing ordination into the Episcopal Priesthood. As I’m sure you can imagine, this is not a decision that we have come to lightly or quickly. Beth and I have spent much time in prayer and conversation over the last couple of years as we have sought to discern where Jesus is calling me in ministry. There are several reasons I am entering the Episcopal Church. None of these reasons are salvation issues and they are all of secondary importance, but they are all important to me personally. 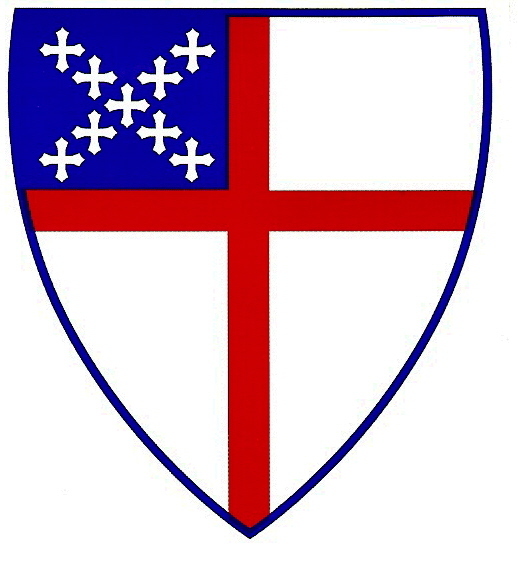 I have a desire to be in a fellowship organized around the ancient three-fold ministry of bishops, elders, and deacons; I believe that the historic episcopate, linking the leadership of modern Christianity to its ancient roots, is valuable and is present in the Episcopal Church; I have a heart for sacramental theology and a personal preference for liturgical worship, especially as expressed in the Book of Common Prayer; and, finally, I have a desire to live in North Carolina, near my extended family, where there are many opportunities for ministry in the Episcopal Church. I believe that just as there is a mainstream, orthodox understanding of Christianity based on the Bible and the creeds so there is also a mainstream, orthodox ecclesiology based on the three-fold ministry of bishops, elders, and deacons. This ecclesiology has its roots in the earliest days of Christianity and it has been handed down, through the historic episcopate, to our modern age of the Church. I have spent my entire life in GCI and I love GCI and the people here. I believe that GCI has a bright future. The decision to live my Christian life in another part of the Body of Christ is not an easy one but I plan to remain as connected as possible with all of my friends in GCI. I am also looking forward to continuing my ministry with Tim, Nan, and John here at Trinity and Humanity. I will continue blogging here through the coming months of this transition and after I enter the Episcopal Church. The conversations that we have here together, and the gospel words of encouragement that we share with each other, are an important part of my spiritual life and a major part of my ministry. I thank the Father, Son, and Spirit for each one of you and look forward to continuing our conversations about the gospel in the years ahead – even as a new chapter of ministry begins for me. Jonathan: best wishes on the move. The Episcopal church has a lot going for it. I have enjoyed reading the writings of their Bishop John Shelby Spong. Be well. Warmly, D.J. what a big and courageous step. God bless you and your family! The Episcopal church does have much going for it. The things you mentioned — sacramental theology specifically — are so important and missing in a lot of our “modern” churches. As I age I miss some of the structure that I grew up with. Who knows — maybe God will lead me somewhere else too. Looking forward to what your posts will be as you grow in your experience. Thanks, DJ and Jane, for your encouraging words – they are much appreciated! What a joy to hear from you, Jonathan, after so many years! I have thought about you from time to time, wondering where you were, and how all your family has been! Much of what you say in this posting, and in the link to which you refer, resonates deeply within me. While I am still active as a Baptist who lives in the South (though definitely not a “Southern Baptist”) my heart resonates with much that I find in the Episcopal liturgy. For several years while I was in Divinity School (finally finishing with an M. Div in 2003), I went to early morning worship at a local Episcopal church, before heading off to Sunday School and Worship at the Baptist church where we then held membership. Those folks opened their hearts to me and made me one of their own. The Vicar of that church has been my unofficial “pastor” for all the years since, and we still keep in touch. He delivered the “Charge to the Candidate” (me) at my ordination in 2006, A little over a year ago, he even invited me to preach the sermon at another church were he was serving. He says I am “quasi-Episcopal,” and that is a badge I wear with pride! I have served two churches as an interim pastor, and do hospital chaplaincy on a part-time basis. Your analysis of where you are, both theologically and sprirtually, seems very sound, and I deeply appreciate your desire to follow God’s leading in your life. That resonates very very strongly with the Jonathan I knew at CUDS during the changes in the WCG. Please be assured of my thoughts and prayers for you as you proceed. And when you are back “home” (in NC), it will be my great pleasure to visit with you. Harvey! It is so good to hear from you! It sounds like we have had some similar experiences over these years since we were together at CUDS. I’m glad you found me here and I really appreciate your encouraging words. If you’re on facebook, look me up so we can stay in touch and we should definitely get together once I get to N.C.
Jonathan, thank you for sharing with us what I know was a long and difficult decision for you. Keep on truckin. We’re all cheering you on. Thank you, John, for such encouraging words, they are much appreciated. I’ve just read your essay as well and I think you are doing the right thing, my friend. Very happy for you. Glad we will continue to hear from you here. Not one person said how sorry they were to see you leave GCI? I was sad and shocked that you are leaving….and know your congregation is too. I personally left the Church of England many years ago…I grew up in it as a child and was taken there by the teachers at my boarding school. I loved the music, choir, psalms, etc., but it wasn’t until I heard Billy Graham speak in London in 1954 that I had a spiritual awakening. I think that the order of service in the Anglican and Catholic services is a ritual that tends to stifle true heart worship. There is a certain comfort in it, and beauty, but I just can’t imagine a GCI minister wanting to go back into a church where there are so many “helps” – crosses, candles, robes, prayer books, kneeling, recited responses, infant baptism, confirmation, saints days, calling the minister “Reverend”, etc., etc. I think that there would be so much structure and pressure from those “above”, that you would have very little freedom to preach the gospel. And if the gospel you preach differs from what people expect to hear I wonder how long you will last! Well, you have obviously thought about it and prayed about it a great deal, and I don’t need to be able to understand it. I certainly hope for the best for you and your family, and look forward to reading your postings in the future. Thanks for your good wishes, Gillian, and I’m glad we’ll continue to connect here on the blog. Even though none of the comments here on the blog expressed regret about me leaving GCI (most of those who commented here are not GCI members) I have received many emails, phone calls, and Facebook messages from friends in GCI who are sorry to see me go but also supportive of me, my family, and my decision. That’s good – Pastor Jonathan – I expect that makes you feel better about leaving. Congrats on your decision. Quick question: are not all believers priests now? Thank you. Yes, all believers share in the Priesthood of Christ and we are all together a body of pastors, ministers, and priests under the Chief-Pastor, Lead-Minister, and High-Priest Jesus.